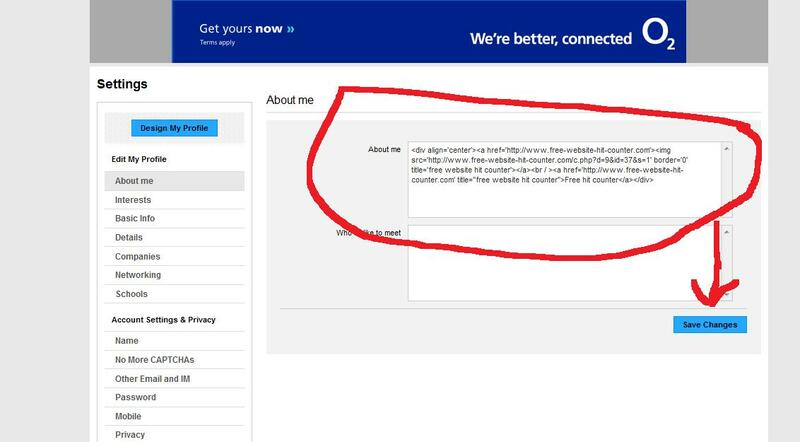 Here you can get a free website hitcounter to use on your myspace profile. They are easy to install and we have lots of designs for you to choose from. To get your free myspace counter today please fill in form below. simply choose a design that you would like to have on your myspace page. Then select how many digits you want your website counter to have. Then the start count for your myspace hit counter. and then enter your myspace profile web address. 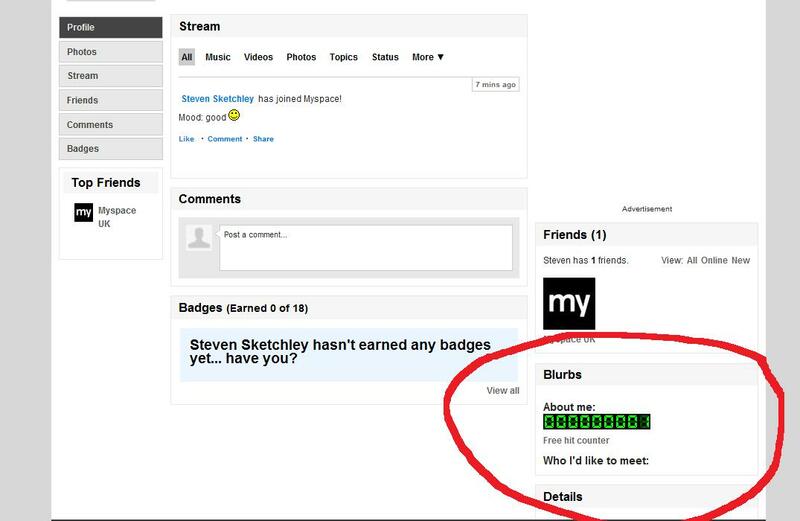 Copy this code to your myspace page to have a nice free hit counter showing on your profile. By install our free hit counter code you will no exactly how many visitors your myspace page is getting. Full instructions on how to add our hitcounters to your mypace page are below. have fun adding a hit counter to myspace. Step 1. 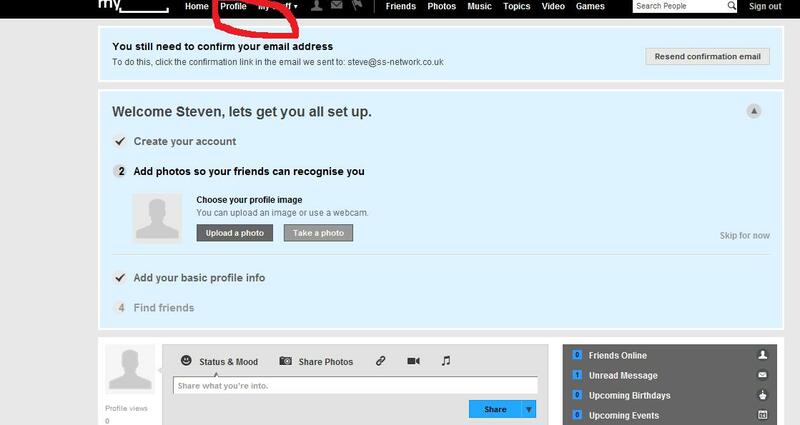 Log into your myspace admin and click profile as in the photo below. Step 2. Click on the edit profile link as in the photo below. Step 3. click on the about me link as in the photo below. Step 4. 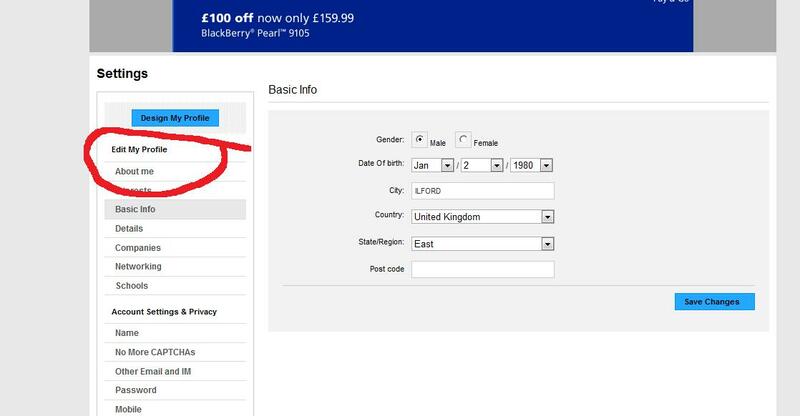 Enter your free hitcounter code from this website in the box as shown in the photo below and click save. Step 2. 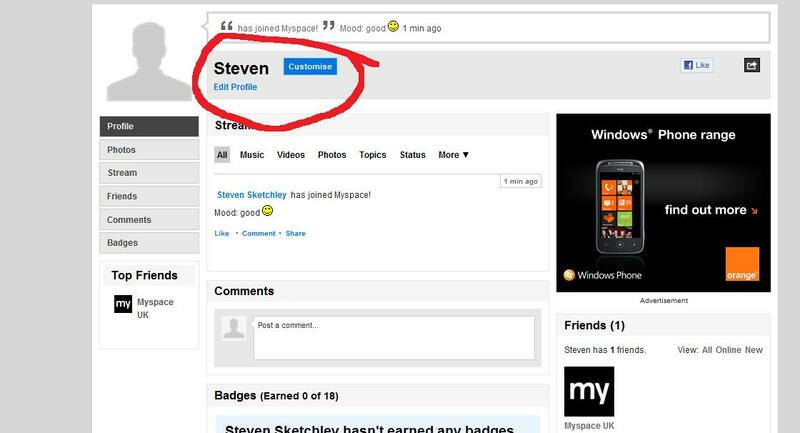 Now view your myspace profile to see your hitcounter showing and working like the photo below.